Global Peace Ambassador, Dr. Clyde Rivers presented the iChange Nations’™ Distinguished Leadership Medallion to Kim Thomas, who was recognized for her role in preventing a violent reaction in the City of Harrisburg Pennsylvania, following the tragic loss of her 20-year-old son who was shot and killed by Harrisburg police responding to a domestic violence call on August 7, 2016. The incident occurred during a time in which violent retaliations to police shootings were breaking out all over the United States. However, when it happened in Harrisburg, this mother had a different response. 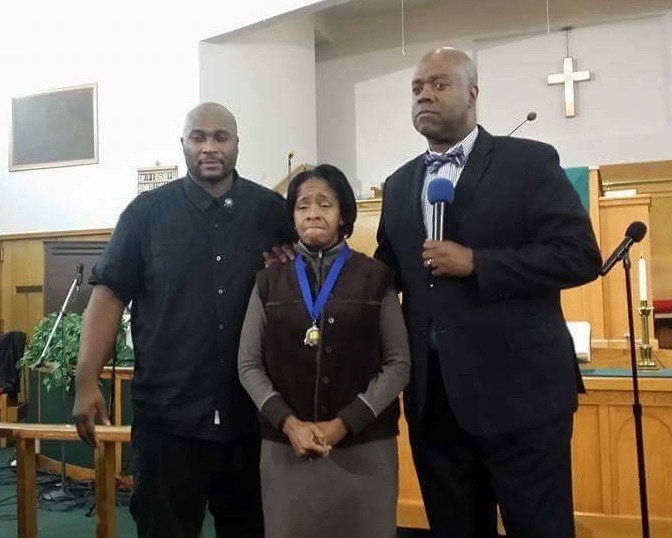 Two days after losing her son, Thomas gathered with civic and religious leaders in a local church for a community meeting with the Harrisburg Chief of Police, Thomas Carter. She not only chose the higher road, by not lashing out at law enforcement, but she asked the Chief of Police and the community to make sure that another mother would not have to go through the same thing. In a local TV news segment, she is seen embracing the police chief in expressing her desire for unity. Kim Thomas received a standing ovation as Dr. Rivers’ words caused the audience to realize the significance of what this young mother had done in establishing a global example of forgiveness and the Golden Rule. Dr. Clyde Rivers is the Founder and President of iChange Nations™ a professional institution that builds Statesmen by equipping, mentoring and training highly esteemed individuals who have the desire to change nations throughout the world. The organization is seeking to bring global awareness by strategically helping nations to educate, train and support the Nation Building Process designed to improve the dignity and betterment of human life. This international platform focuses on establishing effective relationships to help people understand the value of honor and basic human rights. One of the focuses of iChange Nations™ and Dr. Rivers is to honor and uphold the value of mankind. Recognizing that every life is created – for a purpose, with a purpose – we need to preserve the gift of purpose in others. By exercising Golden Rule Dialogue in any arena of the world, you will notice a value on others that is exercised in the process. When an individual recognizes that his or her voice is being heard, it changes the dynamics of the situation and creativity is allowed to manifest. Seeking to understand each other’s perspective is crucial to this process. iChange Nations™ is, at this time, the World’s Largest Honoring Network, Establishing Cultures of Honor around the world. ICN has established a system that is bringing back honor to the world. They look to honor people at global, national, state and community levels, that have made positive contributions in helping mankind. It is no wonder that Golden Rule Dialogue and honoring others are going hand-in-hand to change the world. Golden Rule Ambassador Clyde Rivers is the Representative for the Golden Rule International and the Interfaith Peace-Building Initiative, North American Division to the United Nations – New York. Interfaith Peace-Building Initiative is affiliated with the Department of Public Record (DPI) – United Nations, as well as affiliated with the United Religious Initiative (URI), an Interfaith Peace organization. 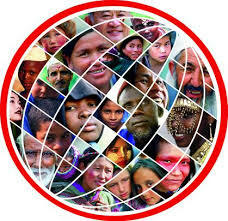 The Golden Rule International Award is now established in 120 nations of the world. This organization seeks out top achievers that live the Golden Rule in their everyday life. This is a new global ethic that the leadership of the Golden Rule International Award, Patron, Former President of Ethiopia, Girma Wolde and Ambassador Mussie Hailu, have embraced and are promoting globally. Christopher Green is an international columnist/writer with the Global Journalism Award winning team of Dr. Clyde Rivers and iChange Nations Social Media News™.